$225.00 the set of 6. 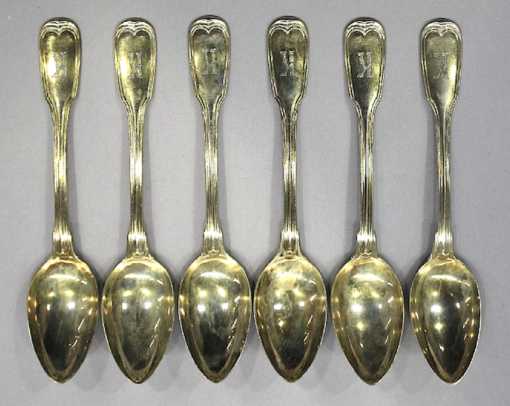 This lovely set of six teaspoons is 800/1000 silver, marked with the crescent moon, 800, and Haeberlein. 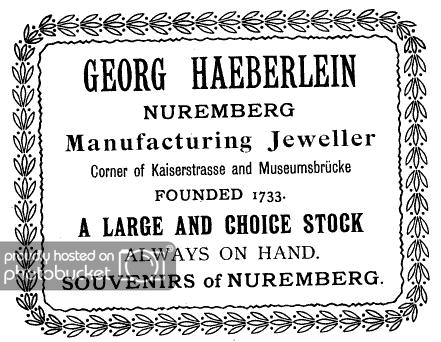 The Haeberlein dynasty has been serving Nuremberg as silversmiths since 1733. 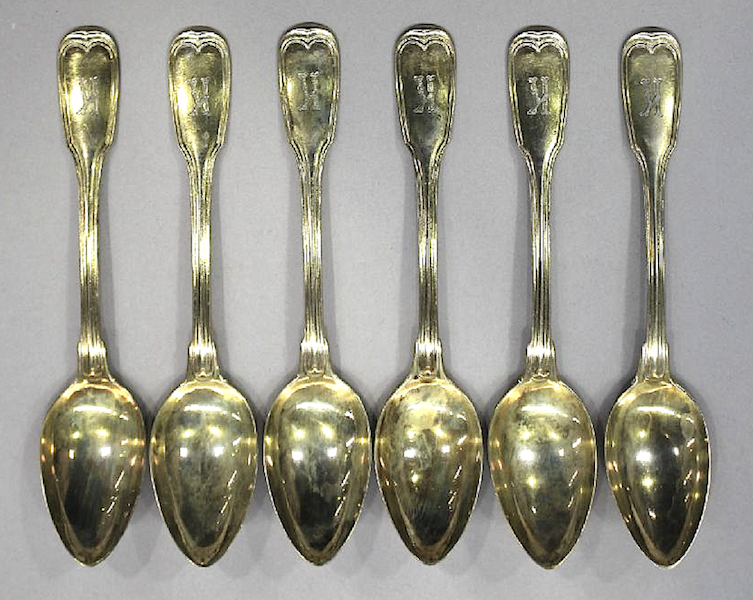 The spoons are each emblazoned with a K. Each spoon is 14.5 cm long. The total weight is 134 grams. The pattern is a very crips fiddle and thread, while the spoons enjoy pointy ends to the bowl, which show no wear.